I spent part of the day working on a program to create graphs that I can test algorithms with. 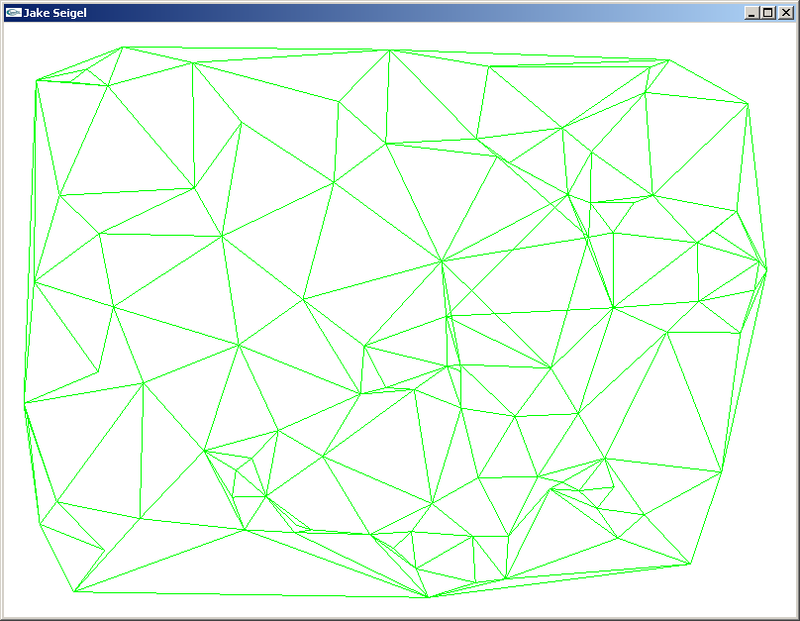 Things like shortest path, minimum spanning tree, and others. 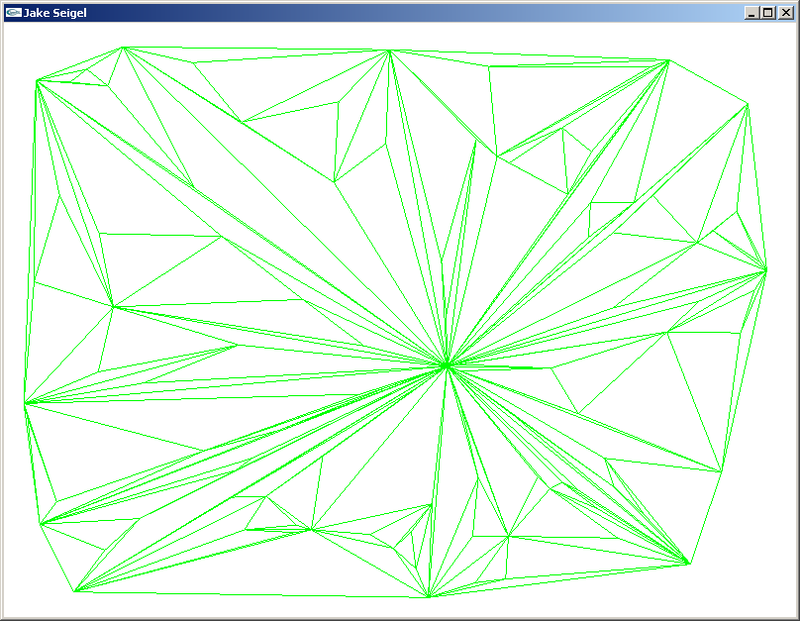 I added in a bunch of tools that let a user create sets of nodes and connect them into networks easily.Here’s a couple screenshots showing a trisection triangulation run with a cleanup applied right after.